In our new blog series, Canadian Composers Interview with ACNMP board member and organist Matthew Boutda, we endeavour to illuminate the artistic process of select working composers from across Canada. An award-winning composer and conductor, Stephanie Martin has wide musical interests ranging from Gregorian chant to gamelan; from Froberger to folksong. A guardian of musical heritage and a creative collaborator, she is known for imaginative programming and for creating sustainable musical communities. Martin is an Associate Professor at York University’s School of the Arts, Media, Performance and Design; director of Schola Magdalena (a women’s ensemble for chant, medieval and modern polyphony), conductor emeritus of Pax Christi Chorale; and past director of music at the historic church of Saint Mary Magdalene in Toronto. Martin’s works have been performed across Canada and internationally by the Vancouver Chamber Choir; Ex Cathedra Choir, Birmingham, UK; Voces Capitlui, Antwerp; Canadian Men’s Chorus; MacMillan Singers; and the Toronto Mendelssohn Choir. Her works are published by Cypress Press in Vancouver, Biretta Books in Chicago, Renforth Music in Halifax and the Canadian Music Centre. Matthew: Can you tell me a bit about your musical background? Stephanie: I wanted to be a composer when I was three years old. But I realized that it is hard to launch straight into composition. Years of musical training are required, and my musical training has never stopped. I worked for many years as a performer before seriously embracing composition. When I plugged into the church of St. Mary Magdalene, that’s when my composition switch really turned on. Matthew: What was your inspiration to pursue composition? Stephanie: At St. Mary Magdalene’s I had a great instrument to work with. The choir there did not simply rehearse Thursday and sing Sunday. They were a highly skilled and extremely dedicated team. For example, during Holy Week, the choir would sing a dozen services. Devotion like that turns a pastime into a passion. The reward is the beautiful sounds and the ability to create something precious that you could not accomplish on your own. Matthew: Do you have any advice for budding composers? Stephanie: I encourage people to look ahead. Realize you are not going to be on the planet forever. Your life is short. If you want to write music, you will have to make some choices, and devote time to your writing practice, just as you would practicing your instrument. My other advice is to recognize that, although composing requires a lot of solitude, you cannot compose into a vacuum. You need a lot of help along the way, so it’s important to respect all of your colleagues, and foster a supportive community. Matthew: What is a composition/project you are currently working on? Stephanie: I am working with my librettist Paul Ciufo again. We recently worked together on an opera called ‘Llandovery Castle’ about the Canadian hospital ship torpedoed in the Atlantic in the last months of World War I, and the 14 nurses aboard who all perished. Our next piece will be a lighter subject. Now we are completing a secular cantata for Pax Christi Chorale based on Aesop’s ancient Greek fable ‘The Sun, the Wind, and the Man with the Cloak.’ It will premiere in October 2019. Matthew: How often do you composer now? Stephanie: I don’t have a very healthy composition practice. I am a binger. I carve out blocks of time when I don’t do anything but compose. That means I neglect some other important things, but it does mean I can accomplish my writing goals very quickly and efficiently. Listen to Stephanie’s majestic Easter anthem ‘Now The Queen of Seasons’ conducted by the composer and performed here by Pax Christi Chorale and True North Brass. Larysa Kuzmenko is a Toronto-based composer, pianist, and Juno nominee. Her works have been published by Boosey and Hawkes, commissioned, performed, broadcast, and recorded by many outstanding musicians all over the world. Some prominent ensemble and soloists who have performed her works include: the Toronto Symphony Orchestra directed by Peter Oundjian and Jukka-Pekka Saraste, the Winnipeg Symphony Orchestra directed by Bramwell Tovey, the Gryphon Trio, flutist Susan Hoeppner, pianists Anton Kuerti and Christina Petrowska-Quilico, and cellist Shauna Rolston. Her works demonstrate a strong affinity towards the mainstream of classical music. She imbues her music with a strong melodic sense, and a firm rooting in traditional, albeit extended tonal processes. 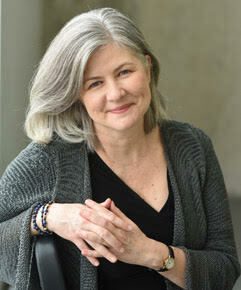 She is currently on staff at the University of Toronto’s Faculty of Music, where she teaches composition and piano. Matthew: Would you mind sharing a few words about your personal and musical background? Larysa: I was born in Toronto, in a car, on Bathurst street, in front of our Ukrainian Orthodox Church, during a snow storm. I grew up in Misssissauga. I had 45 rabbits, three chickens, and two cats. I love animals, especially cats. When I was four years old, my parents bought an old piano for my sister, who was 14 at the time. I was drawn to this instrument. I just loved it. I will never forget the time when my parents first discovered my musical talent. My parents would grocery shop every Friday. My sister was told to practice her piano pieces during their shopping time. One Friday, when they returned home, they were happy to hear, what they thought, was my sister practicing her pieces. When they walked into the room, they were astonished to see that it was I who was playing the piano, not my sister. I was playing her pieces by ear. They realized that I should start piano lessons as soon as possible. I studied piano with Antonina Yaroshevich-Manko. She was my mentor. When I was 16, she passed away from ovarian cancer. I was devastated. I was going to quit music all together. My high school music teacher insisted that I continue. He made arrangements for me to study piano with Clifford Poole, and composition with Dr. Sam Dolin at the RCM. I was very fortunate to have studied with such great teachers. After graduating from high school, I was accepted into the Faculty of Music at the University of Toronto, where I studied composition with another favourite teacher of mine, Oskar Morawetz. Matthew: How often do you compose now? Larysa: I compose almost every day, especially when I have a commission, with a looming deadline. There are times when I would write 8 hours a day to meet a deadline. On days when I teach at U of T, I would come home from school, and start writing into the wee hours of the morning. Matthew: Are you currently working on a new composition? Larysa: I am currently writing a double concerto for violin, piano and string orchestra. This work will be premiered in Toronto by Marc Djokic, Christina Quilico-Petrowska, and Sinfonia Toronto in November of 2019. I also have recently been commissioned by the Calgary Symphony Orchestra to write an orchestral work celebrating Beethoven’s birthday. This work will be premiered on February 14, 2020. Matthew: How can more people be exposed to Canadian music? Larysa: The RCM books publish some Canadian works, so students are exposed to them at a young age. I remember when I was in grade 10 RCM piano, I played a work by Oskar Morawetz. I loved the piece. I was excited to find out that he was a Canadian composer. I wanted to know more about him and to hear more of his music. I even bought a recording of his piano concerto performed by Anton Kuerti. I play works by Canadian composers in my classes at U of T. I also suggest students go to the CMC to purchase scores or recordings. It would be nice hear more Canadian music broadcast on the radio. Years ago, there was CBC radio show called “Two New Hours’. Every Sunday, they would broadcast works by Canadian composers. Unfortunately, that show folded. Matthew: Why should we grow this awareness for Canadian Music? Larysa: I think we should be very proud of the talent that we have here in Canada. The world should be aware of this, and most are not. I found it quite sad when I asked a student who was auditioning for the composition program at U of T if he could name me a Canadian composer. He named Aaron Copland! Now that’s unfortunate! A number of Larysa’s works are included in our Contemporary Showcase Syllabus including this iconic solo piano work ‘In memoriam: To the Victims of Chornobyl’. Ruth Watson Henderson has often been described as a “Canadian national treasure”. 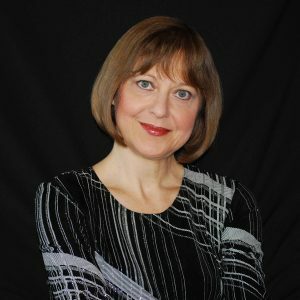 She has an international reputation as a leading Canadian composer of choral music, and as an admired pianist and organist. She has done much to promote the artistry of children through her wealth of compositions for treble voices, using the expertise gleaned over 29 years as accompanist of the Toronto Children’s Chorus under Jean Ashworth Bartle until they both retired in 2007. She has at the same time written a wider spectrum of works for adult choirs –an activity started while she was accompanist of the Festival Singers under Dr. Elmer Iseler. Her works are commissioned, performed and recorded worldwide, by such well-known choirs as the Elmer Iseler Singers, the Toronto Children’s Chorus, Exultate Chamber Singers, and the University of Toronto choirs. 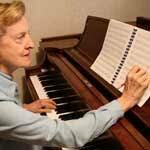 Ms Watson Henderson also writes for piano, organ, and other instruments. Her organ work, “Celebration”, won a worldwide competition honouring the Royal Canadian College of Organists’ Centennial, thus earning the piece a première at Westminster Abbey. Recognized for her lifetime of service to music, Ruth has been paid many great tributes by the music community. She received the National Choral Award for Outstanding Choral Composition for “Voices of Earth”, and the Distinguished Service Award by the Ontario Choral Federation. Matthew: Tell me a bit about your musical background. Ruth: I got started very early on! My mother was a church organist and so I started playing the piano when I was 2, and by the time I was 4, I was making progress. I was very fortunate to study with Alberto Guerrero and we had wonderful classes where his students came to play for each other. Glenn Gould was a contemporary of mine who didn’t like to socialize! He was quite the character! Matthew: What is your fondest musical memory? Ruth: I got to play something at Carnegie Hall when I was studying at Mannes in New York City. I was also an usher there and able to hear all sorts of concerts. Matthew: What is your inspiration for composition? Ruth: I learned almost everything I know from accompanying fine choirs and sitting through their rehearsals. You learn a lot when you are playing for rehearsals because you can listen to all of the individual lines. I started working with Elmer Iseler, playing for the Festival Singers and singing through rehearsals with him was just wonderful because I could hear how the counterpoint moved and fit together. Matthew: How has your musical style changed? Ruth: It hasn’t changed a big deal, but it depends on the choir I am writing for! For example, I could write more counterpoint for professional choirs. For amateur groups, I tend to be pretty straightforward. For me, everything depends on the text. Before I write anything, I try to get a good text, which is where my ideas derive from. Ruth: I don’t compose as much anymore, but I still keep up my playing! The fingers work much faster than my brain these days! Sophie Dupuis is a composer from New Brunswick (Canada) interested in interdisciplinary art music and music for small and large ensembles. She is recognized for her impressive technique and endless imagination. Her creative mind is influenced by her childhood spent in the picturesque scenery of the Maritimes and, conversely, by her attraction to raw, electrical and harsh sounds. Her works have been played in workshops by the Toronto Symphony Orchestra and Symphony Nova Scotia, and in concerts by ensembles including duo aTonalHits, the Array ensemble, Toy Piano Composers Ensemble and Architek Percussion. She has been commissioned and performed by Caution Tape Sound Collective, Thin Edge New Music Collective, and most recently by Ensemble Contemporain de Montréal for their Generation2018 tour. Dupuis was awarded the Karen Kieser Prize in Canadian Music 2016 for her piece Perceptions de La Fontaine and received several prizes for her studies in music. As a composer in early career, Dupuis spends time focusing on her professional development. 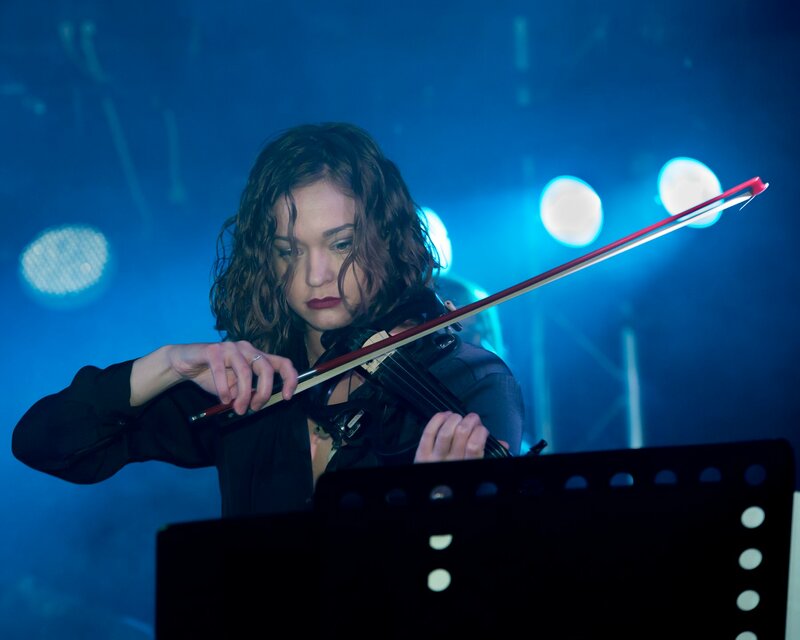 She recently took part in workshops such as highSCORE Festival, UPbeat Summer Course for Composers, and Orford Arts Centre. She is currently completing her DMA in composition at the University of Toronto. Aside from her studies and work as a composer, she is an arranger and passionate music teacher of violin, piano and theory. Sophie: Did my undergrad in Composition at Dalhousie, went into a double major in Science and Music. I didn’t want to be a composer until undergrad. I wanted to major in performance but was afraid and ended up doing composition! I never thought of myself as a composer until I realized I was really good at it and I enjoyed the process. Matthew: When did you start learning how to compse? Sophie: I wrote an etude for piano to practice technique. The process flowed. I pretended to be Boulez! I also looked at Philip Glass . . . I liked his energy when I started taking composition seriously. Matthew: What are you currently working on? Sophie: I’m currently working on my DMA Thesis and two major works. Matthew: Is it challenging to write pedagogical music for young students? Sophie: The approach to technicality is the issue. Kids are creative and not afraid at that age. They are open to challenges. I have written some works for young students and I look forward to doing more. Matthew: How can we continue to grow this awareness for Canadian music? Sophie: We should value the works of Canadians. Canadian music is missing in music education across the board. Matthew: What advice do you have for beginners learning how to compose? Sophie: Try to get out and see as many shows as possible –even the weird ones! Find art that inspires you and get exposed to many art forms. Listen to Sophie’s haunting choral work ‘There will be no ice left in the Arctic in 22* years from now’. The title must be adjusted according to the year of performance. The statistic from the U.S Center for Atmospheric Research claims that, if global warming keeps increasing at the current rate, the Arctic will be free of ice by 2040. Thus, the number of years in the title must be written according to the formula “2040-X,” X being the present year. JUNO Award-winning composer Vivian Fung has a unique talent for combining idiosyncratic textures and styles into large-scale works, reflecting her multicultural background. NPR calls her “[o]ne of today’s most eclectic composers.” This is supported by many of her latest works, including Humanoid for solo cello and prerecorded electronics; Frenetic Memories, a reflection on her travels to visit minority groups in China’s Yunnan province; and The Ice Is Talking for solo percussion and electronics, commissioned by the Banff Centre, using three ice blocks to illustrate the beauty and fragility of our environment. 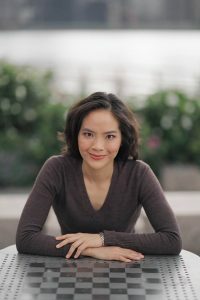 Many distinguished artists and ensembles around the world have embraced Fung’s music as part of their core repertoire, including the American Opera Projects, Chicago Sinfonietta, San Francisco Symphony, Shanghai Quartet, Staatskapelle Karlsruhe, Suwon Chorale of South Korea, and Ying Quartet, to name a few. Conductors with whom she has collaborated include Long Yu, Andrew Cyr, Rei Hotoda, Peter Oundjian, Edwin Outwater, Steven Schick, and Bramwell Tovey. Born in Edmonton, Canada, Fung began her composition studies with composer Violet Archer and received her doctorate from The Juilliard School in New York. She currently lives in California with her husband Charles Boudreau, their son Julian, and their shiba inu Mulan, and is on the faculty of Santa Clara University. Vivian: I was born and raised in Edmonton. I began playing the piano very early and my first piano teacher, who also happened to be a composer, encouraged me to compose and notate. As a young kid, I didn’t like to practice so I started to compose instead. I wrote my first pieces when I was seven or eight. These were very basic pieces that expressed stories and my imaginations. I think these early days in Edmonton were very important because it shaped the idea of cultivating imagination in me. Matthew: How often are you composing now? Are you currently working on a new composition? Vivian: My compositional process goes in spurts! This past month was busy with travelling and preparing for performances. Next, I will concentrate on new projects – an orchestral piece for the Winnipeg New Music Festival and a double violin concerto for the Manitoba Chamber Orchestra. Matthew: What advice do you have for beginner composers? Vivian: I would encourage young musicians to experience creating a piece. It really isn’t about the end result but about the process of creating. I encourage everyone to also be curious listeners; listen to pieces you might not know or listen to what others, not only in Canada but around the world, are creating. Matthew: If you had to choose just one, what is your fondest musical memory? Vivian: Hearing The Rite of Spring by Stravinsky when I was growing up! It got me excited about new music and discovering more about using different chords and clusters! Not having to rely on tertiary harmonies and the possibility of incorporating other orchestral instruments. Vivian is currently putting the finishing touches on a new orchestral work to be premiered at the Winnipeg New Music Festival next month. Listen to her work “The Ice is Talking” premiered by percussionist Aiyun Huang at the Banff Centre this past summer.